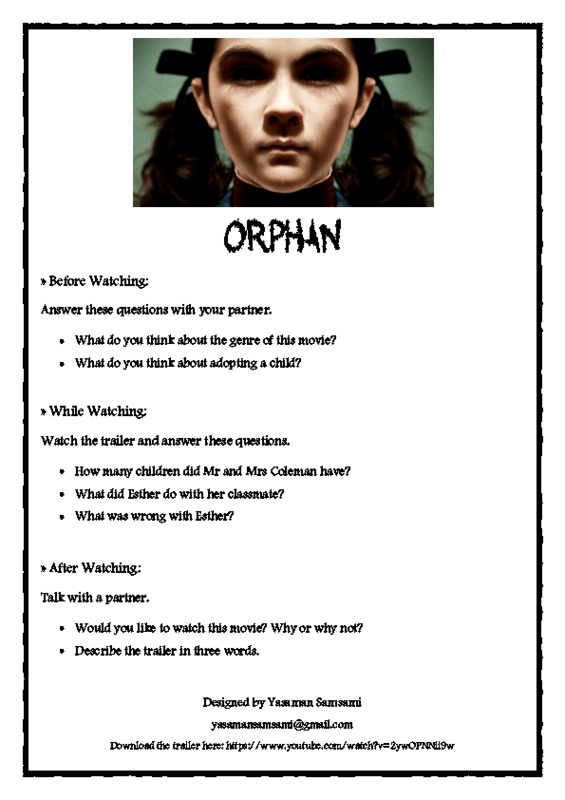 This is a worksheet based on Orphan trailer. It contains three parts, before watching, while watching, and after watching. 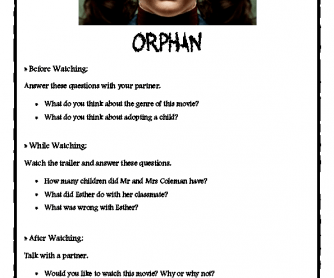 You can check the learners' listening and speaking skills in a way that they will like. The link for downloading the trailer is included. Hope it works!